Imagine that you’ve worked for months – possibly years – to earn your GED, and finally you’ve been awarded this credential to put yourself on a path to financial stability. And imagine that you’ve been offered a job, your first job with a wage that might allow you to make ends meet. You got the job because of your GED, a good reference from a mentor at the GED program, and the positive impression you made on the manager. And the fact that you have a car. You had to be able to check the box on the application that says you have your own transportation. But now, on your first day of work, that car – with 200,000 miles on it, a broken AC, and lots of duct tape holding it together – won’t start. Your bridge from poverty to stability is letting you down again. 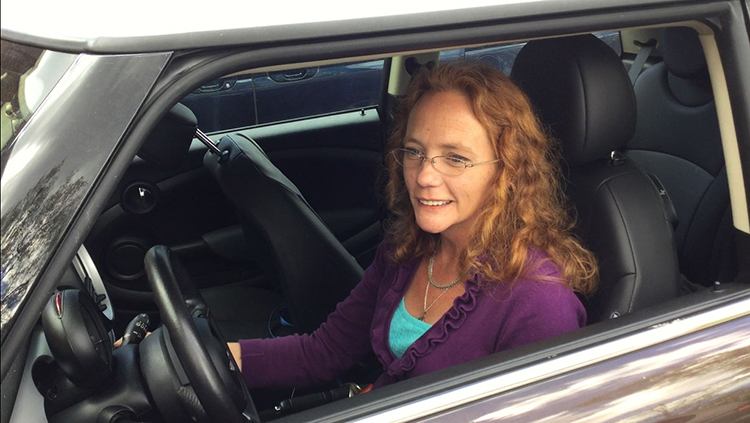 Shandy Garrison was able to leave her old car at the junk yard and purchase a new-to-her car to get her from rural Slater to a new medical records job. Most rural residents without reliable transportation remain disconnected from job opportunities. We often equate car ownership with mobility, but considering that the spectrum of cars ranges from brand new Cadillacs to ancient clunkers and car owners include both millionaires and paupers, it makes sense that “car ownership” isn’t a binary proxy for connectivity. Our transportation study of Greenville County, SC showed that while 75% of the 3,500 plus survey respondents owned a car, a quarter of them were at times unable to drive it because they couldn’t afford repairs or gasoline. Of those unable to drive, half said they were stuck a few times a month or more. I don’t know of many employers who would allow an employee to keep a job when regularly missing work that often. The 2010 Census reported that only 8% of Greenville County households did not own a vehicle. But considering that 15.4% of Greenville County residents were living in poverty and that about half of Americans have insufficient savings to cover a minor emergency, it’s likely that many more people find themselves practically without transportation. Like the mythological Tantalus, condemned for eternity to live in water up to his neck and beneath a fruit tree just out of reach, these folks reside in a county full of economic prosperity but with a broken down car parked in their yard. Deborah McKetty, President and CEO of CommunityWorks, Inc. sees this firsthand. CommunityWorks is a Community Development Credit Union in Greenville whose mission is empowering low wealth families and communities. She says, “We are one of the least mobile communities in the nation, with only 27% of the working-age population having access to transit. We see this growing problem on a daily basis, as our clients and many low-wealth families throughout Greenville continually struggle to access educational and employment opportunities without transportation. Without the means to access these services, low-families cannot achieve upward mobility”. We cannot ignore how critical transportation is to moving people out of poverty. If we lack a robust public transportation system – whether fixed route buses serving all shifts, work shuttles, ride shares, vanpools or other solutions – we must find ways to connect workers to jobs. The costs to society for unemployment insurance, SNAP benefits, and charitable support are high (not to mention the impact on the recipient’s morale). Some emergency assistance programs in Greenville County can help with car repairs or gas for those moving from job training to employment. Organizations such as United Ministries and CommunityWorks Carolina help residents accrue emergency savings for car repairs to avoid being without transportation or connect them with low interest credit for a car purchase. But a robust public transit can serve everyone. It makes it possible for someone to affordably get to and from work for the long term, and the lower costs to use public transit can allow them to save money for a car of their own or for repairs. So the next time you see an old car barely making it down the street, say a prayer for the person driving it, because that car is a lifeline. And consider how we as a community can do better.